Press release courtesy of BroadwayWorld.com (original post here). OCUStripped, Oklahoma City University’s student-run musical theatre organization announces the selections for their New Musicals Project. OCUStripped received a record 26 submissions from the US, UK, and Denmark. Shows will be presented on February 5 and 6, 2011. 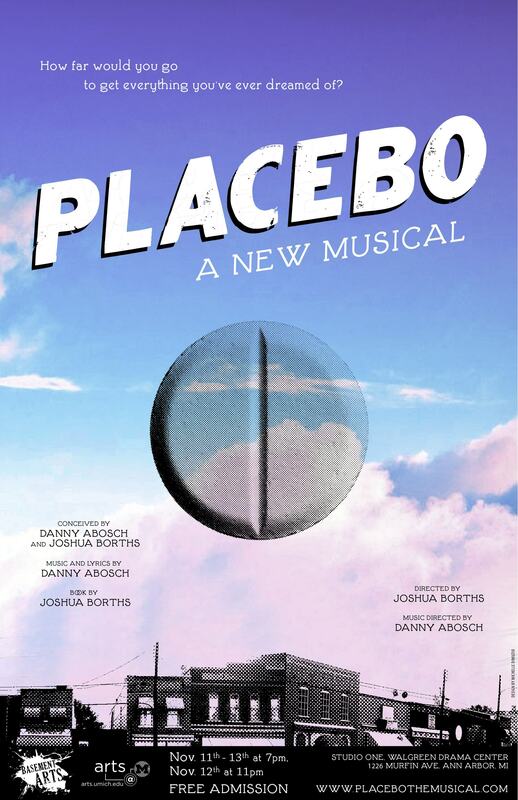 Placebo, by University of Michigan students Danny Abosch and Joshua Borths follows the story of two brothers who persuade their town to purchase what they claim to be a miracle pill, invented by their late father, the scientist Dr. Wilson. The pill is actually a placebo made of nothing but sugar, but the town, believing it to be real, becomes carried away with the ‘miracles’ that the pill is reportedly responsible for. Piggy in the Middle by English composers Andrew Pollard and Steven Markwick is a playful showbiz retelling of the familiar Three Little Pigs featuring the title as a do-wop singing girl group and the big bad wolf as a lascivious producer intent on exploiting their talents. Seasons, by New York Composers Katie Hammond and Elaine Pechacek is an intimate look into the lives of four people: Helen and Peter, a young couple dealing with an unexpected surprise; and Hope and her mother Mrs. Jones, who are trying to cope with Mrs. Jones’ diagnosis of stage three breast cancer. These three shows will be presented in 45-minute excerpts and will perform in OCU’s Petree Recital Hall February 5 and 6, 2011, free admission.